thanks lonely planet! from reading your Buenos Aires travel book during some trip planning, i knew i’d have some time to kill in the city, and decided to book a cooking class. i’ve never taken a foreign cooking class before, and thought it would be pretty challenging to cover 3 dishes in a few short hours. of course, that was based on the assumption that we would be making everything from scratch. it made a lot more sense when i realized the dough for the empanadas was store-bought (pre-cut for empanada making, clearly common in local supermarkets, but sadly, not so much here at home). we did make the filling and learned the pinching technique. 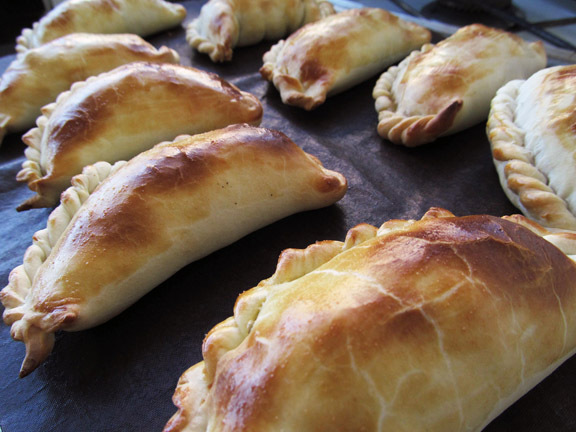 and we got to taste these empanadas (and a lentil soup that was also part of the lesson) during our lunch after the cooking lesson was complete. 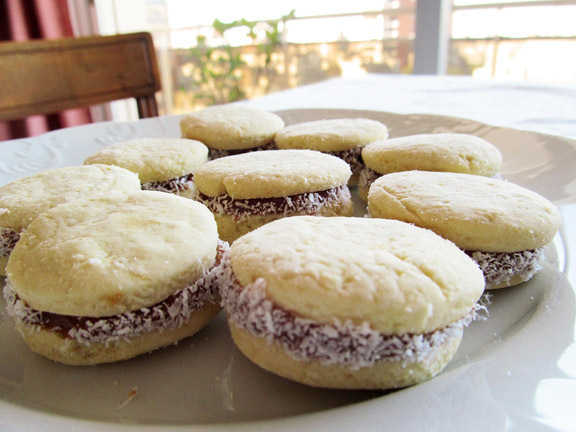 we made alfajores as well (the Argentinian style is a sandwich cookie with dulce de leche filling, commonly rolled lightly in shredded dried coconut). some would definitely say the class i took was a bit overpriced. still, i enjoyed meeting a local, seeing her apartment, meeting other participants in the class, and getting to a neighbourhood a little further off the beaten path. those sorts of factors are parts of the experience too, and often make the best memories. 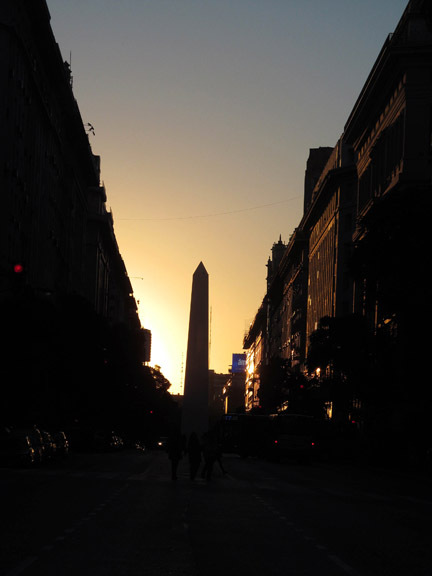 if you have any tips for visiting Buenos Aires (general, and specifically food related are great), please leave a comment!